Your quilt is looking lovely, I hope that you enjoy stitching on the binding. That quilt is absolutely beautiful, she's a lucky girl. 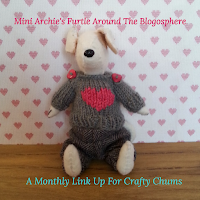 Lots of hugs and virtual biscuits to Archie and I hope you are well. Such a pretty quilt. The only time my old machine did something similar it was a sign it needed a clean and a new needle. But as you've done that I have no idea. How frustrating! Oh and dried pasta? Really? What a lot of quilting and so well done, despite your problems. Your niece will love it. That quilt is beautiful! The quilting really adds a special quality to it. Well done. What type of needles do you use? I think your niece should be thrilled with that quilt! It is looking amazing! and how mean can you get- make Archie do the work and then wait for his reward!!! Poor old Archie! Such a gorgeous quilt and your quilting lines look so straight! Sorry the experience was not without its issues. Can't offer any advice on the looping either, not knowledgeable enough I'm afraid. I hope you enjoy getting it finished. I foresee one very pleased little niece in a few weeks' time! Wow there is a lot if work there in that quilt. Sorry to hear your machine is playing up, sounds like you've done everything and maybe it's just a timing issue? I can only suggest a service (gulp). 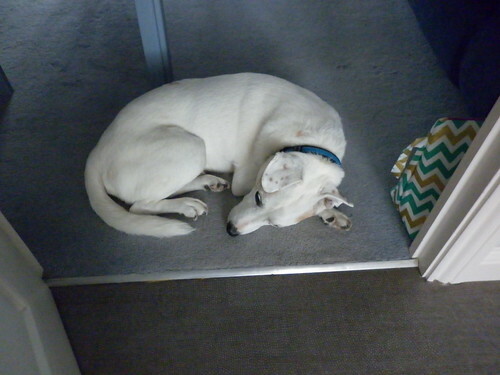 It must be so hard to resist Archie pining ... the things we need to do to keep them healthy! Think you deserved that cuppa Helen, that is a lot of quilting. Sorry about the frustrating little loops, no quick answer here either, sounds tension based. Do you have same thread on top & below? Another very common thing but not necessarily causing your problem is for folk to use the wrong bobbin especially if they have bought a new machine and still have old bobbins lying about. That's a LOT of quilting coz I know what a big fella it is! It was worth it though - it looks brilliant! that is a lot of quilting!! Helen , it looks wonderful!! 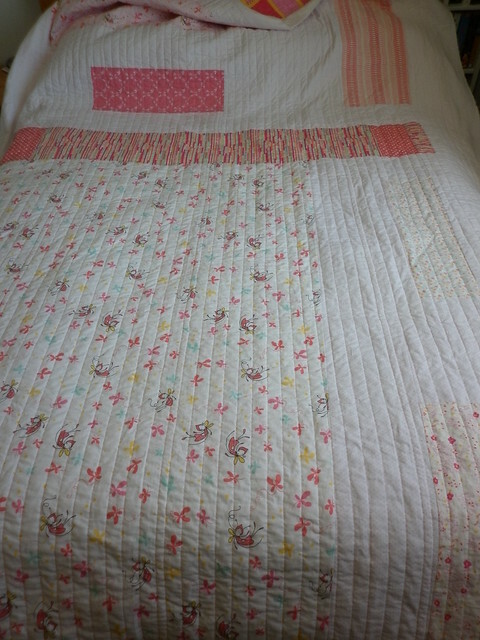 Wonderful quilt and quilting - you must be worn out now! 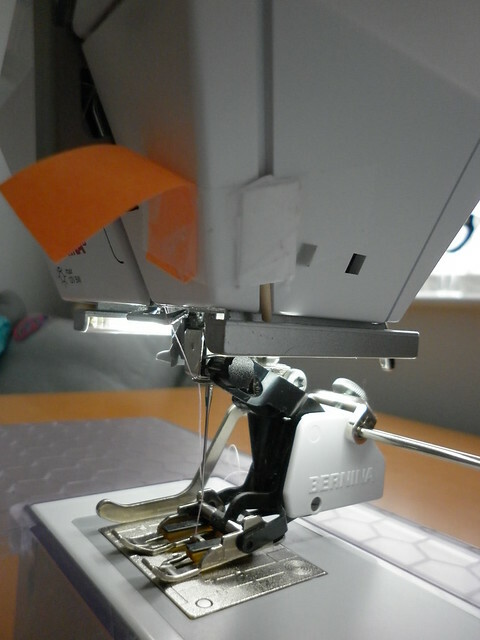 I liked to see your fix to prevent reverse stitching - very ingenious! Good luck with all that binding! Love your quilt! I got done quilting a tshirt quilt for nephew in May. I wish I had had the hera marker prior to quilting it. I'm buying one. At first, I used my quilt guide and it did not work too well on a larger quilt. I had wavy lines that I had to pick out (a lot of them)! 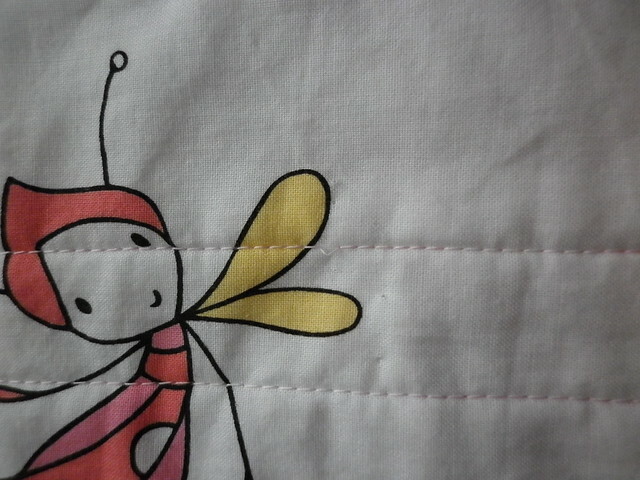 I have this same fabric, Butterfly Dance, that I planned on sewing a quilt for my niece. So cute! Thank you! I love my hera marker and use it lots when I'm quilting (and for marking grids for Sashiko) - I hope you find yours as useful! I'm afraid I can't reply to your comment by email as Google+ has you as a 'no-reply' blogger and I can't find an email address for you (or comment on your blog as I'm not on Google+) - I hope you find this reply! 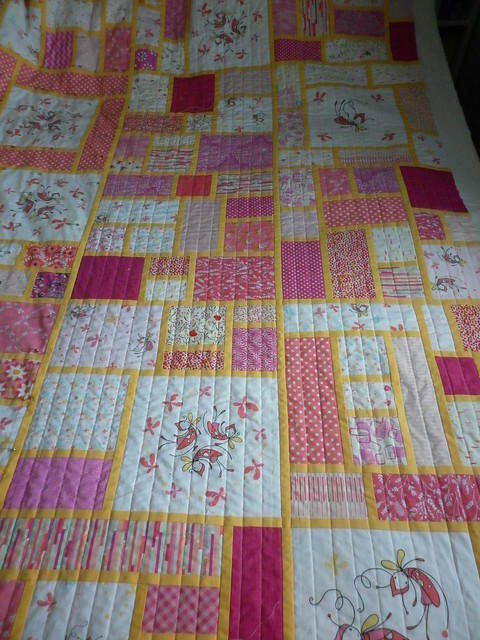 no help in troubleshooting I'm afraid but the straight line quilting looks great and well worth it. 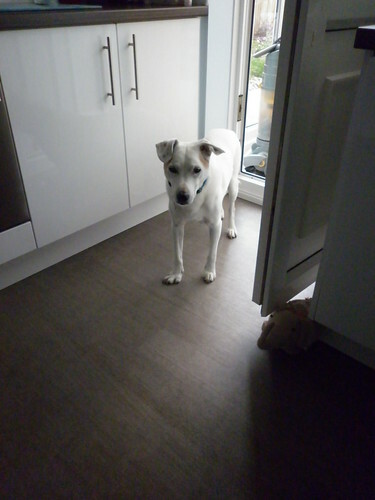 Love the archie photos - he is so patient waiting (even grumpily waiting ) for his treat! Love Archie's way to pick a winner! Congratulations to Saira! Could it be when a bit of thread jumps off the spool? 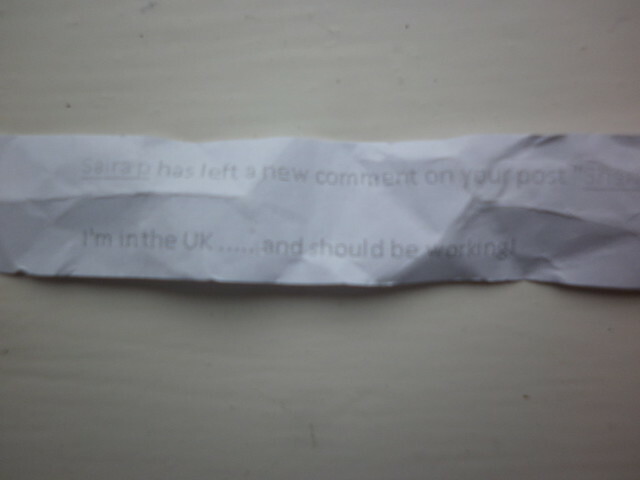 And sort of gets ahead of itself before the tension thingy realises? If it's unspooling erratically maybe one of those thread hair net things might help? the quilt looks awsome though! 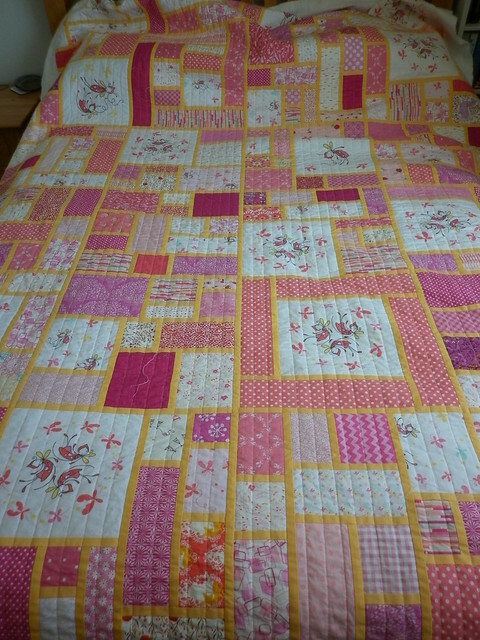 Excellent progress on the quilt - it just looks better and better and is 'bound to be' well received - teehee! Poor old Archie! Hoping he enjoyed his treat after the shock of just finding paper! 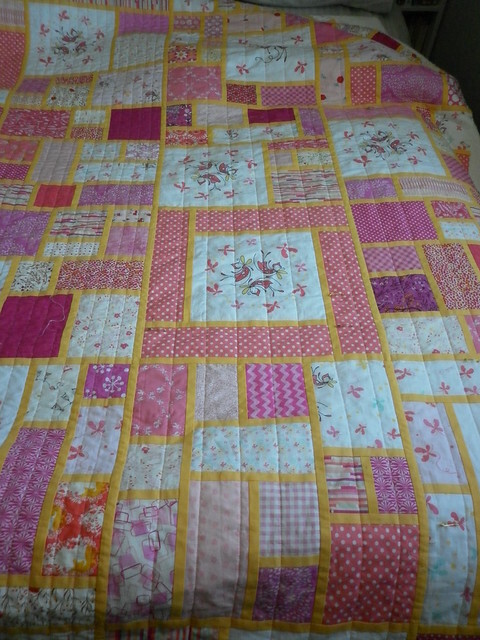 Oooo Yes .. the extra line of quilting through the middle was definitely needed. Love the texture it created. But so laborious. Dont know how you sit there for that long. Was there ever a photo of your niece receiving the quilt? It is so beautiful. Did you work out how to stop the longer slack stitches?